Hibiscus Wood Effect Resin Photo Frame 4 x 6"
1526 - Hibiscus Wood Effect Resin Photo Frame 4 x 6"....$ 48.00/Dozen. 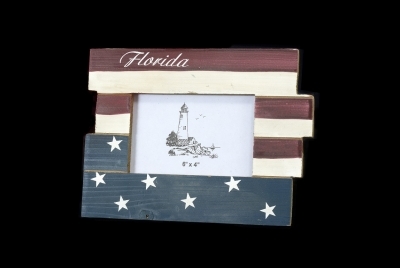 Nautical Life Ring Photo Frame 4 x 6"
1531 - Nautical Life Ring Photo Frame 4 x 6"....$ 48.00/Dozen. 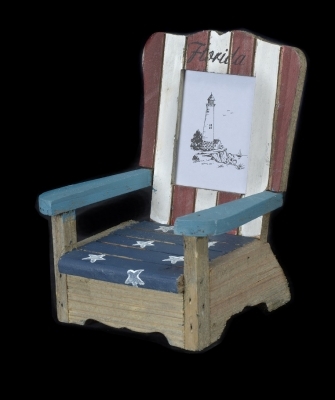 Wooden Beach Chair Photo Frame 4.5 x 5 x 6.5"
1506 - Wooden Beach Chair Photo Frame 4.5 x 5 x 6.5" (Photo Size 2 x 2").....$ 48.00/Dozen. 1525 - 3-D Dolphin Resin Photo Frame (4 x 6")....$ 51.00/Dozen. Surf Board & Palm Photo Frame. 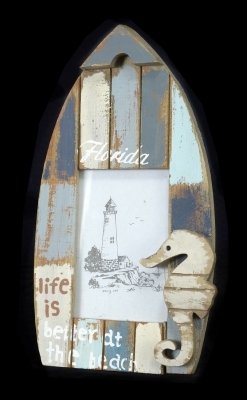 1454 - Surf Board & Palm Photo Frame. Multi Colored. 3.5 x 5".....$ 45.00/Dozen. FREE CUSTOM IMPRINT AVAILABLE. 1441 - 3-D Effect Photo Frame. Beach & Crab Design 4 x 6".....$ 45.00/Dozen. FREE CUSTOM IMPRINT AVAILABLE. Beach Chair Photo Frame Pearled Effect 4 x 6"
1415 - Beach Chair Photo Frame Pearled Effect 4 x 6"....$ 45.00/Dozen. Palm Tree Aged Wood Effect Photo Frame 4 x 6"
1414 - Palm Tree Aged Wood Effect Photo Frame 4 x 6"....$ 45.00/Dozen.